I am a huge fan of sensory tubs. The first time I heard about sensory tubs was at my daughters very first Occupational Therapy session. At first she would barely touch the tubs and never submerge her hands in it. So we started making our own sensory tubs at home. Now she actually uses the tubs as part of her play. In fact when we were on holilday over Christmas both kids asked me for a bean tub – yes on holiday with new toys to play with and they actually asked for a sensory tub. 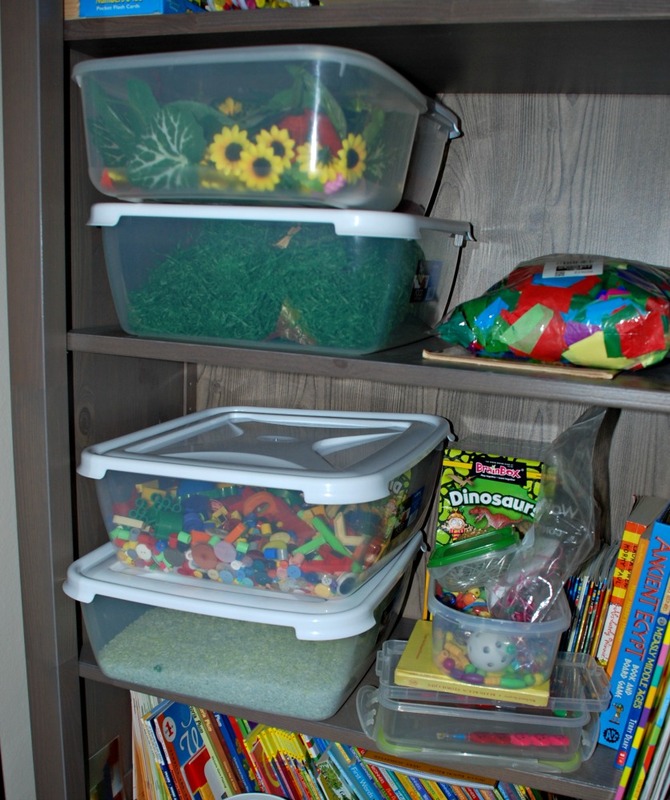 We have very simple sensory tubs and I tend to use the items in the tubs over and over again. We often have themed tubs eg space or construction sensory activity but we also use them to hide letters and numbers in and the kids are free to use any of the sensory tub material in their imaginative play and their crafts. I normally have one tub out in our reception area and the others are normally packed away on the kids bookcase. I have found that it is better to have tubs out where the kids can see them as it encourages them to use them more often. We also have now moved the kids favourite tub (mixed beans) up to their bedroom. This tub is constantly used. 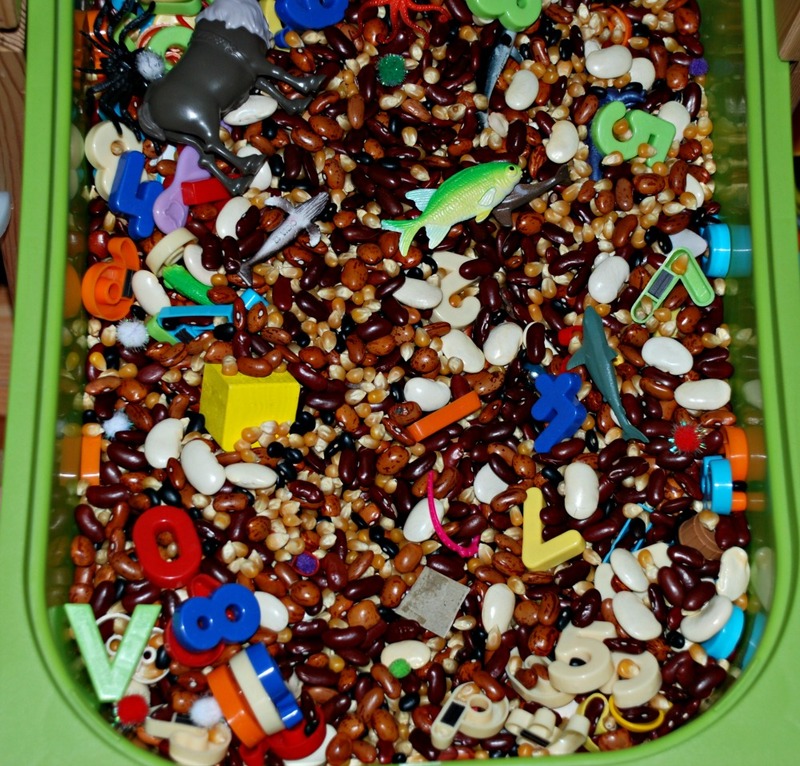 As you can see from the picture the kids often hid their toy animals in the tub or use the beans as pretend food for their animals. We have two mini bean tubs as well. One is just black beans with some craft pom poms in. 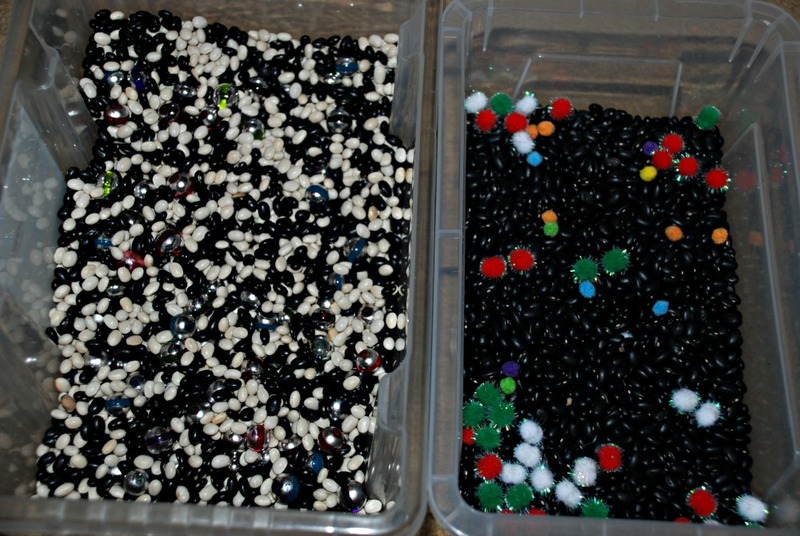 And a friend gave us the black and white bean mini tub with craft beads in it. Other items that we have used – a number of coloured rice tubs – we have a green rice tub, a red rice tub and a rainbow rice tub. 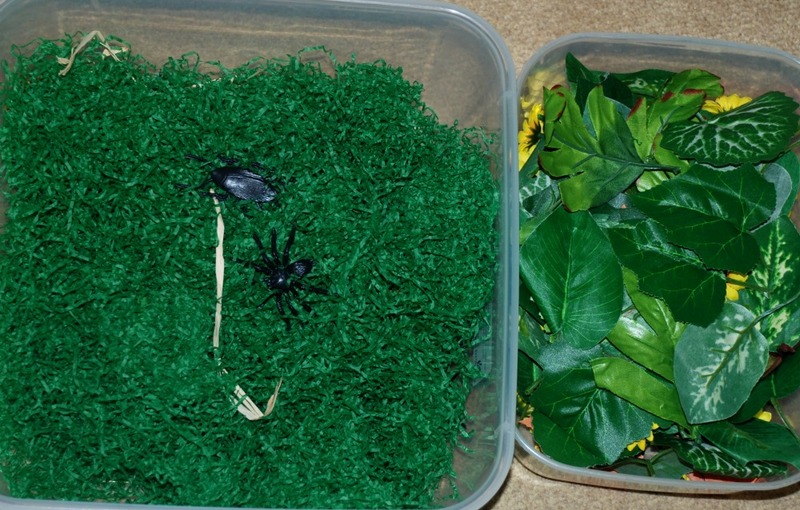 We also have a tub filled with green shredded paper, this happens to be where the kids like hiding their toy insects. And we have some craft leaves and a few craft flowers which we often include in our tubs (great for autumn or spring activities). So what is the purpose of sensory tubs – to get kids to play with tactile items in a non-threatening way. To get them use to the feel of items so that over time they will eventually feel comfortable submerging their whole hand into the tub. They can be simple and cheap or you can make them as expensive as you like. Anything goes (well within reason as it needs to be child friendly). It can be used as purely a sensory activity or it can be combined with learning activities like find the letter, find a word etc. My kids love them and honestly some days I sit with the kids and submerge my hands in the tubs as the pressure of a tub fill of beans on your hands can be very relaxing after a busy day. This entry was posted in sensory play and tagged home ed, homeschooling, sensory bins, sensory play, sensory processing disorder. Bookmark the permalink.